With the UCD Fencing Club now in its 59th year, Shane Hannon speaks to current club captain Aoife O’Mahony about the sport in general, the Irish Fencing Federation and how to get involved. 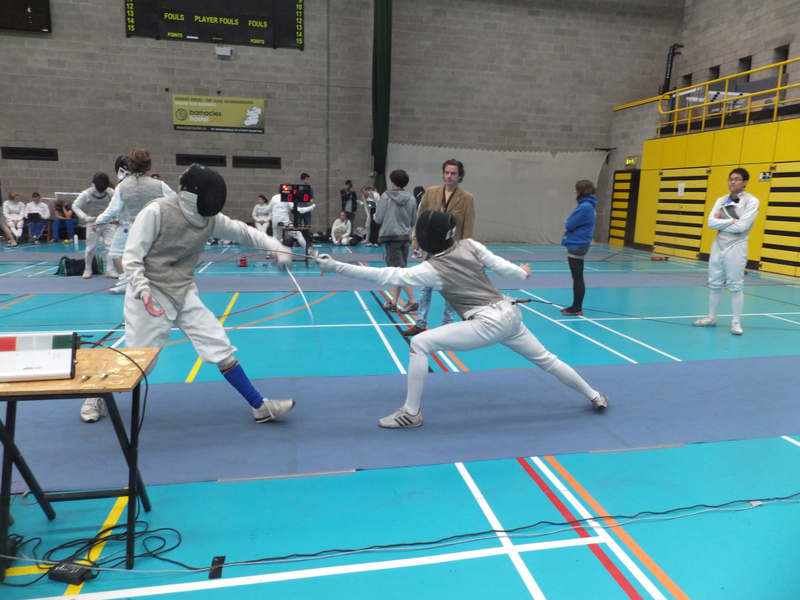 It is a little known fact that the UCD Fencing club is one of the oldest sports clubs in the University. Although interest in the sport is decidedly limited in Ireland, it is one of the largest sports in the world in terms of participation. It is the national sport in Hungary and extremely popular in France, Italy, Germany and elsewhere in Europe. It is quite strong in North America and China too and just about every country in the world has an active fencing organisation. Foil, meanwhile, has its roots in duelling and in this discipline, you can only hit the body. Foil fencing action tends to be fast, punctuated by halts as the president makes the decision to award a point. Finally, as O’Mahony notes, “Sabre is a similar thing, except you can hit anywhere on the blade and you can hit anywhere on the top half of the body.” Épée and foil share their roots in the duelling discipline, whilst Sabre developed from swordfights on horseback. The 1912 Olympics introduced the Modern Pentathlon, which features a one-hit variant of épée fencing intended to simulate a duel to first blood. O’Mahony says that “The Pentathlon athletes have the highest standard of fencing in Ireland because they have such good resources so they’re all doing brilliantly, going to world cups and the likes.” UCD student Arthur Lanigan-O’Keeffe even competed for Ireland at the London Olympic Games in 2012 in the Modern Pentathlon. O’Mahony clearly possesses a love of the sport, but it’s not just the competing, “I like the social aspect to it too. The fact that I’m captain and was secretary last year means I know a lot of fencers in Ireland.” As for budding UCD fencers out there keen to join, “You can either contact myself or the secretary. We do encourage people to join because we do have beginners’ classes. But most people join during eithers Fresher’s or Refreshers’ week.” So why not join? With the sports’ popularity on the rise worldwide, you’d be mad not to.